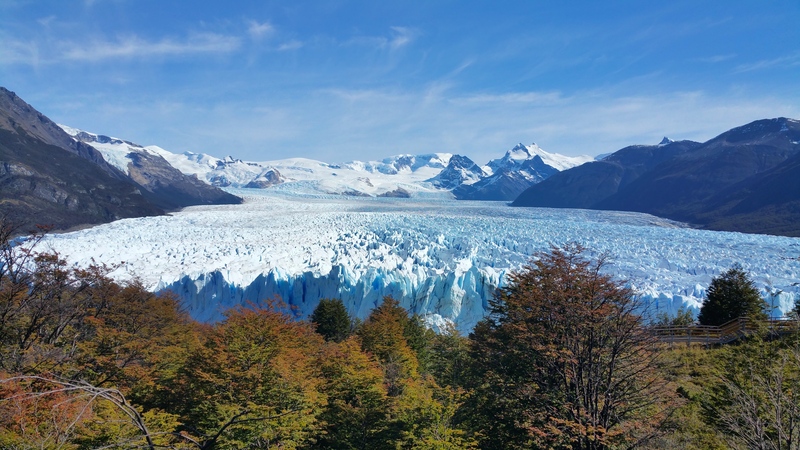 No trip to Patagonia is complete without a close encounter with at least one of the several glaciers in the southern region of South America. 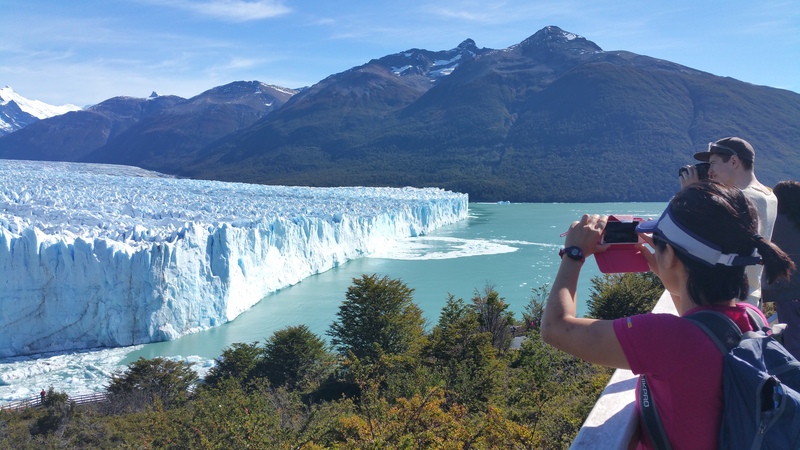 And, like in Punta Arenas (and mostly in Torres del Paine), the weather was in our favor when we visited the glaciers: blue skies and sunshine. 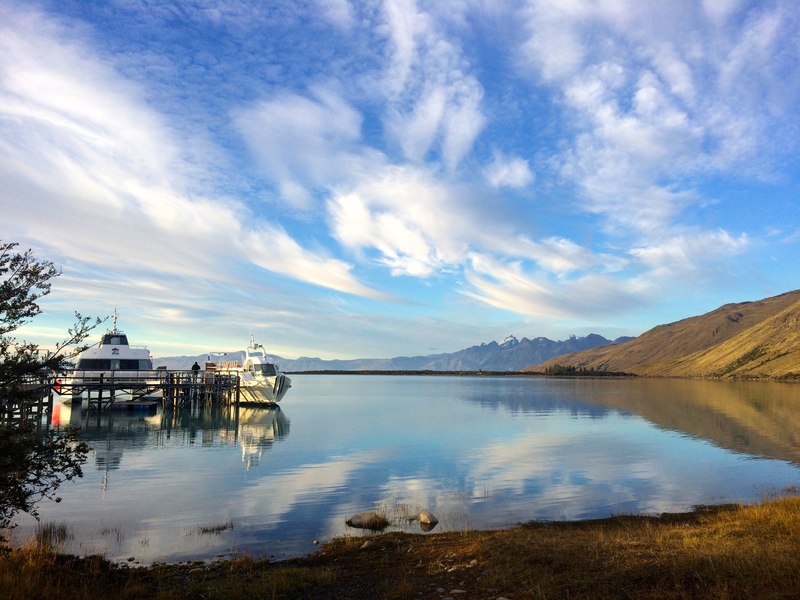 The afternoon after our return from Torres del Paine, we departed Puerto Natales, Chile and headed for El Calafate, Argentina. ARGENTINA!!! WOOO! 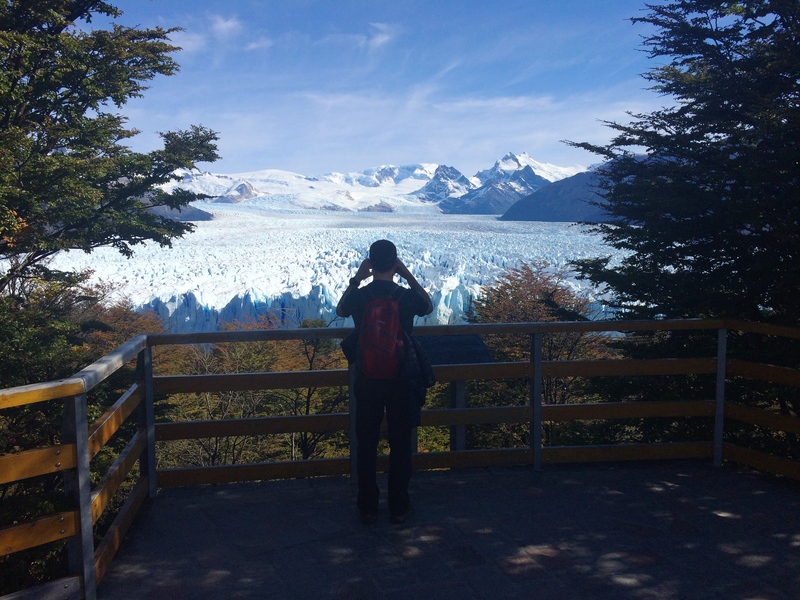 We didn’t check into our hostel until a quarter before 9pm, but we had planned ahead and notified the hostel staff of our interest in booking transportation to Los Glaciares Nacional Parque. 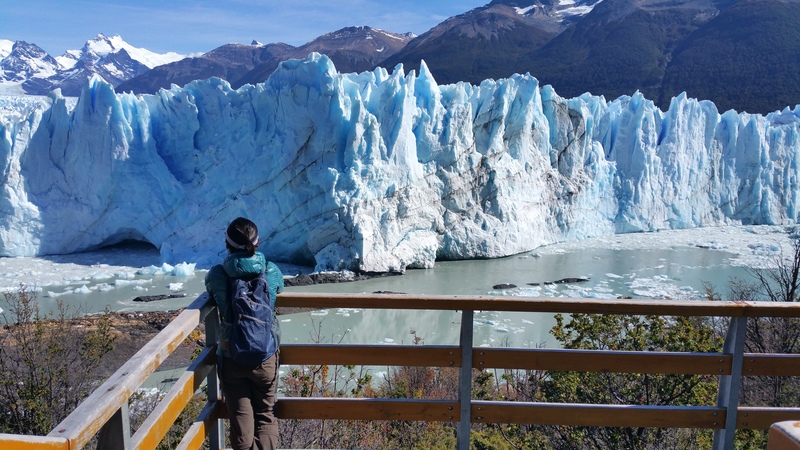 Our awful, broken Spanish proved to be sufficient enough to get the message across on the phone, and we headed out for the famous Glaciar Perito Moreno early the following morning. Logistics were pretty straightforward, albeit pricy. From El Calafate to the national park took about an hour by bus (RT bus tickets were ~$35 USD pp including pickup from our hostel). The entrance fee for foreigners was ~$25 USD pp, and the optional 45-minute boat ride was an additional $20 USD or so pp. Food and beverages were available for purchase, but of course overpriced and bland-looking, so we packed water, snacks, and bomba de papas for lunch the night before. No words can describe the sound of giant ice chunks calving off the glacier and plummeting into the water. 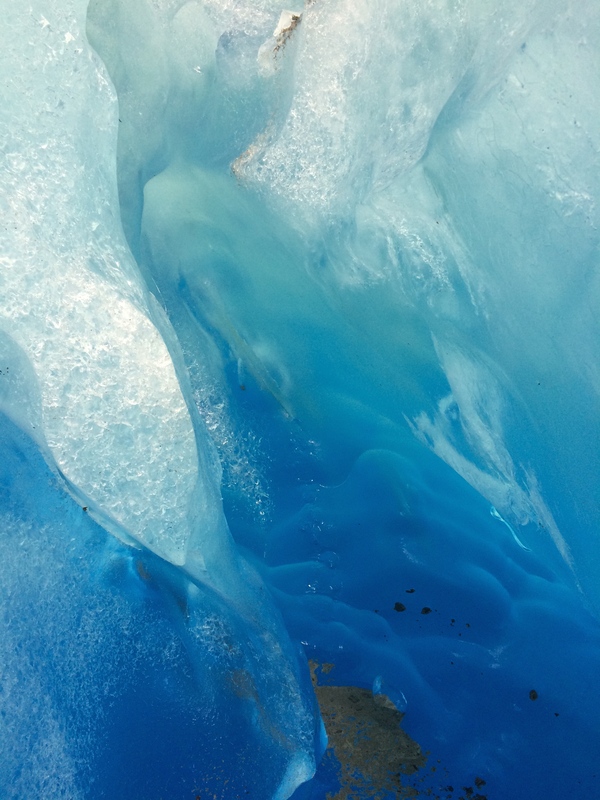 Thanks to the warm sun that day, the glacier was quite active. 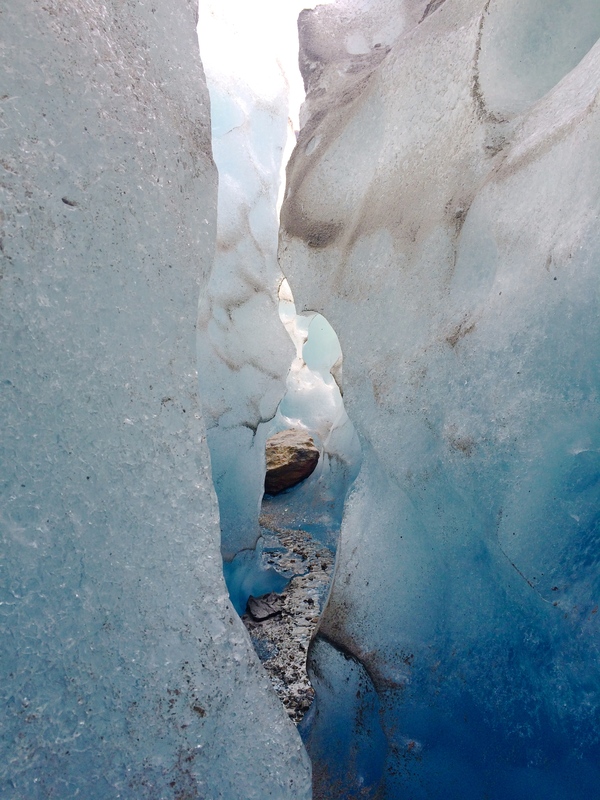 Chunks of ice cracked, crumbled, or plunged into Lake Argentino about every 15 minutes or so. 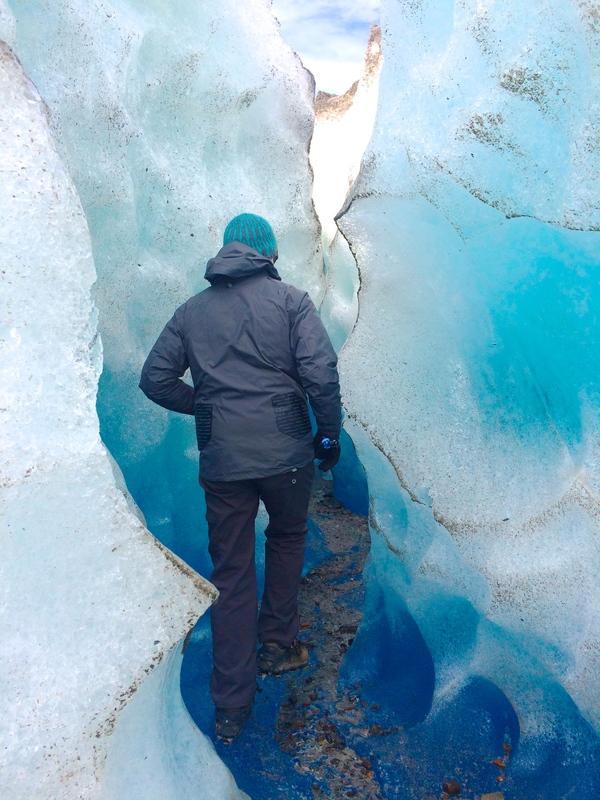 We agreed the roar and boom of the active glacier was comparable to a bomb or firework. The massive ripple effect was incredible. 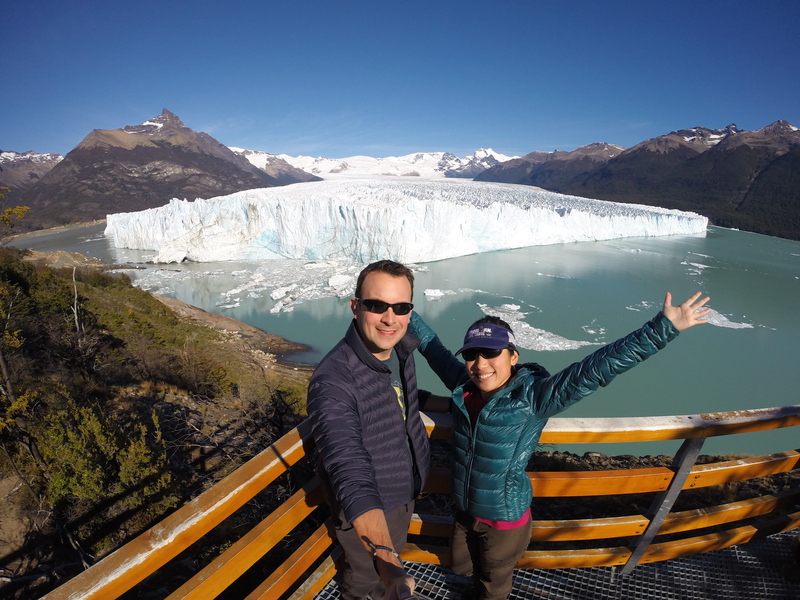 El Calafate doesn’t offer much else other than the excursion to Glaciar Perito Moreno, so our stay there was minimal. 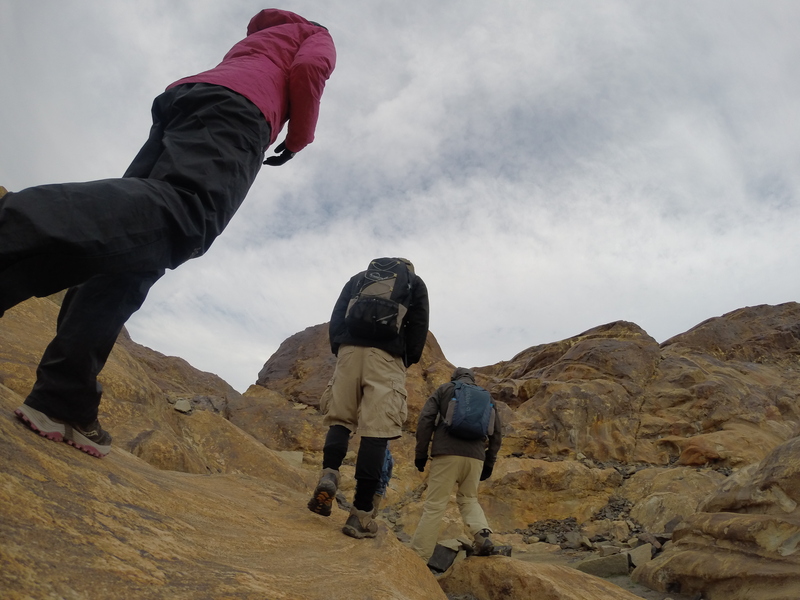 We left the next afternoon for El Chalten, another trekking mecca along awe-inspiring mountains. 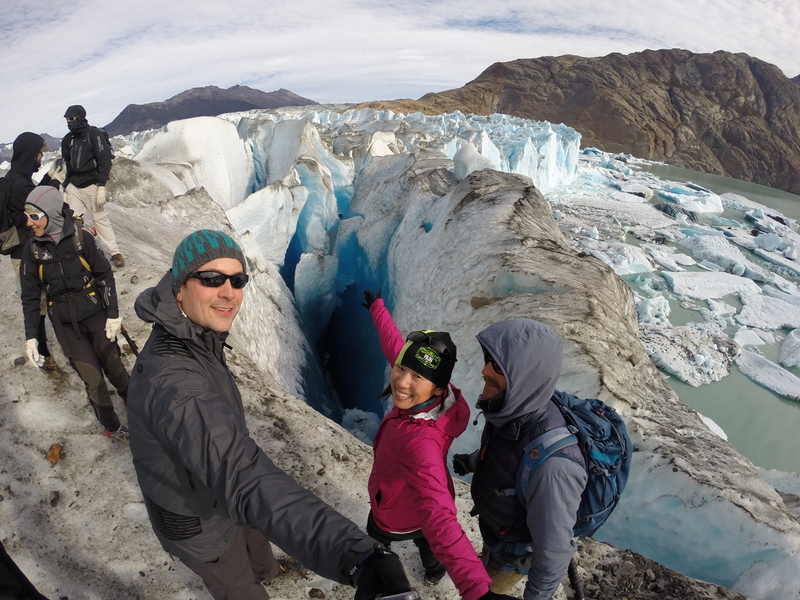 Before we started trekking, we spent a day ice trekking on Glacier Viedma outside of El Chalten. 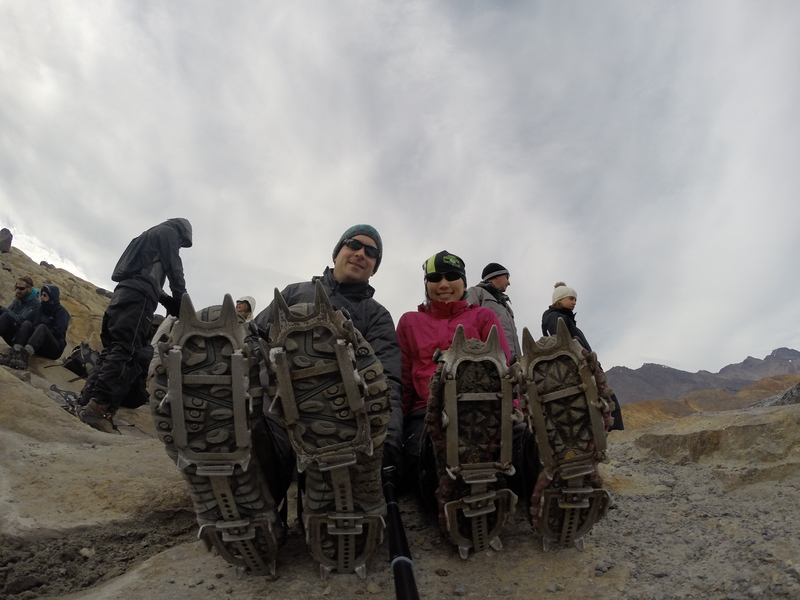 The trek itself was incredibly underwhelming for the whopping ~$150 USD pp (it is advertised as a 2-hour trek, when in reality you only walk on the ice for about 25 minutes and spend the rest of the time hanging out on the ice and waiting in line to take a picture from a lookout). 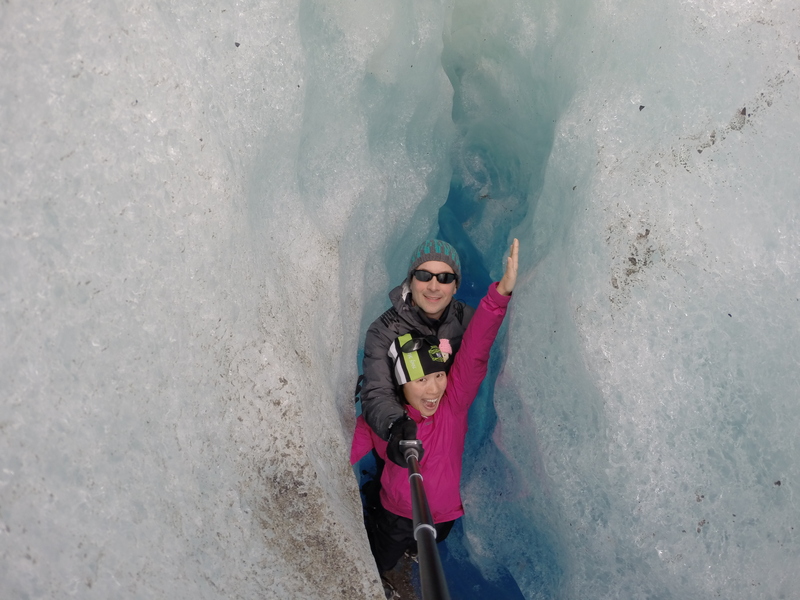 Nevertheless, we managed to take a few interesting photos from Glacier Viedma. 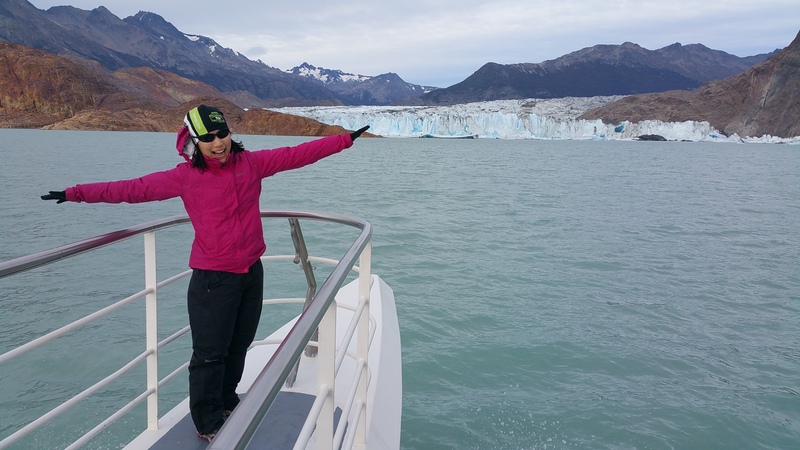 We had never seen a glacier prior to coming to South America. I never knew how unbelievable they were, in size and sound. Hopefully we’ll see more glaciers on this trip (such as in the mountains in Ecuador), and if not, Alaska has some glaciers worth seeing too! 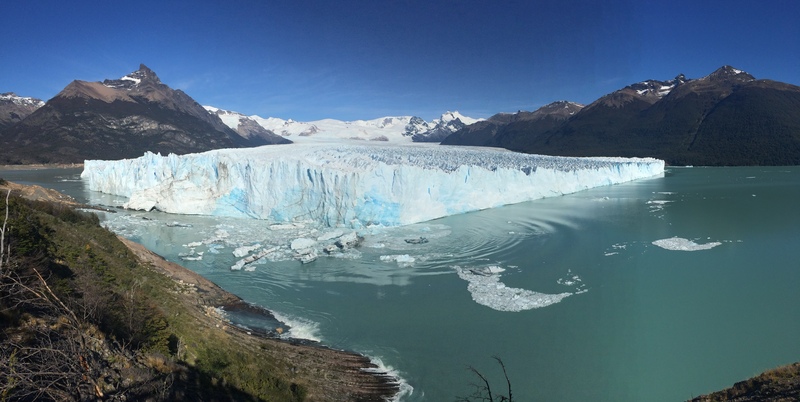 This entry was posted in Argentina and tagged perito moreno glacier, viedma glacier. Bookmark the permalink.